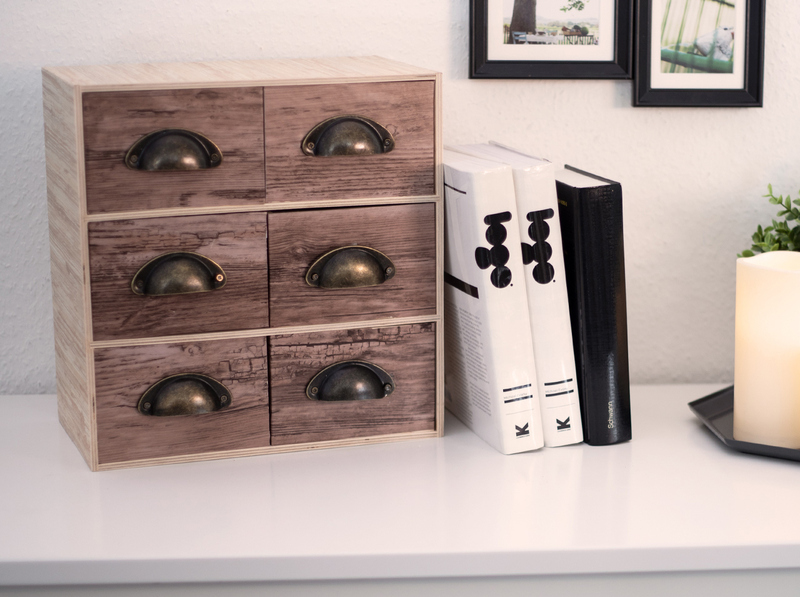 The Moppe mini chests of drawers are perfectly suited to storing small objects, e.g. on your desk. With the “Pimp my Moppe” trend, people everywhere are giving their little drawer cabinet a personal touch. Today, we’ll show you a rustic variant in a wood mix style. 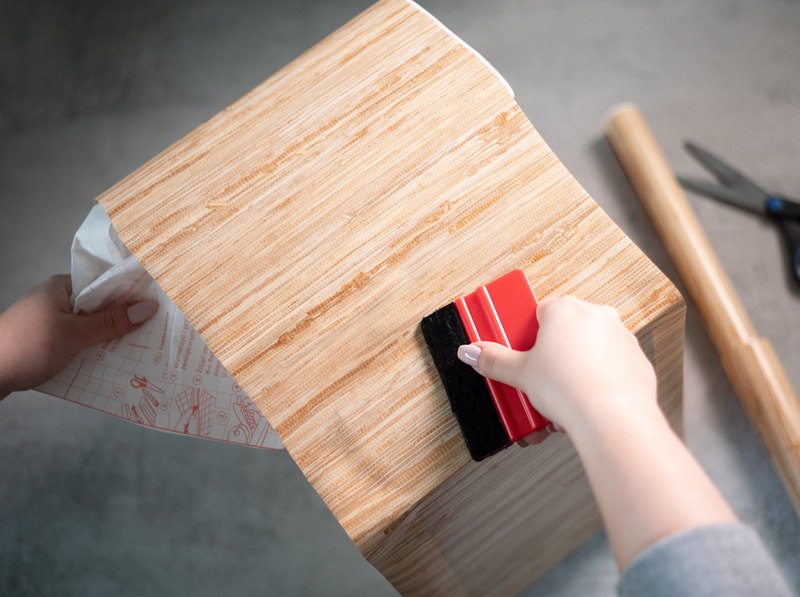 Measure the outsides with the tape measure and transfer the dimensions onto the backing paper of the d-c-fix® Shanghai decorative film. Cut the film to size with the scissors. 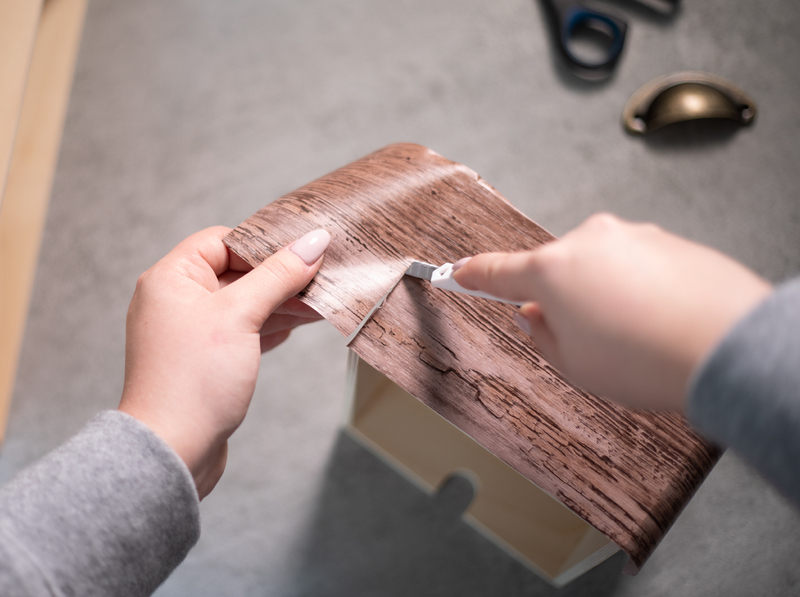 Peel back a piece of the adhesive film backing paper and begin firmly smoothing it with the smoother onto the outside of the Moppe. 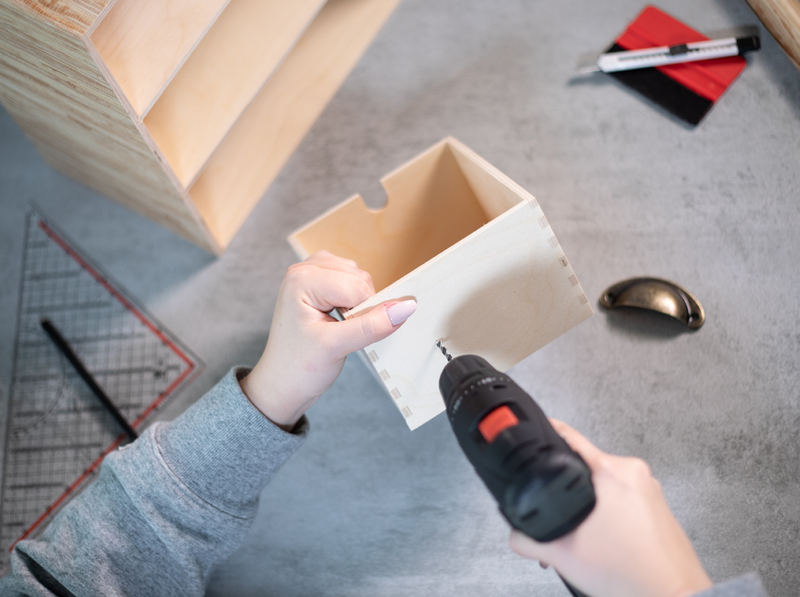 With a wood drill, drill two little holes in the front of each drawer for the shell handles. 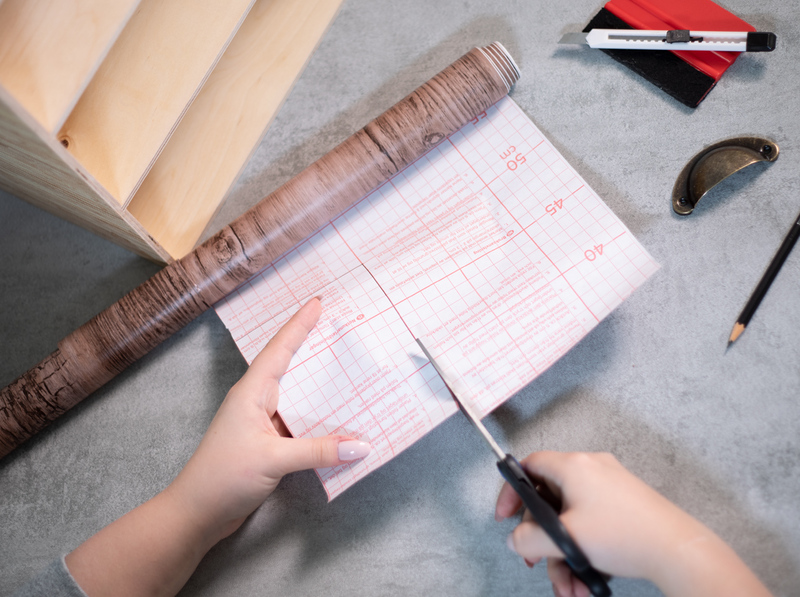 Measure the drawers and mark the shape on the backing paper of the Rustic wood-effect film. Cut this out with the scissors too and stick it onto the fronts of the drawers. Cut along the edges with the cutting knife. 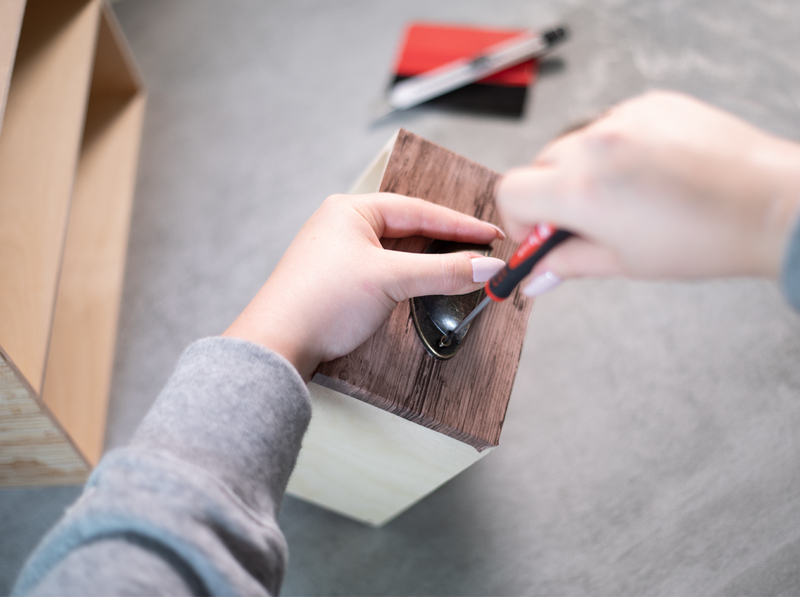 Attach the shell handles at the pre-drilled points with screws. 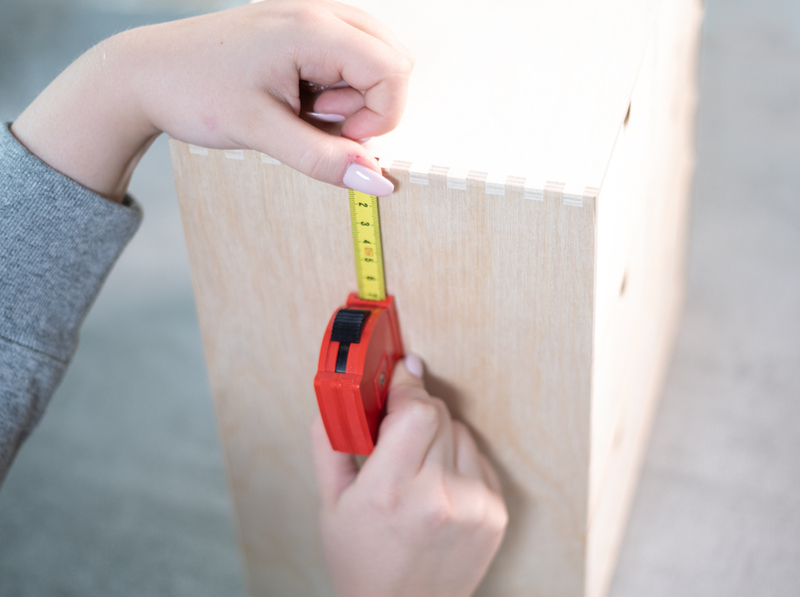 Mark the holes for the shell handles on the drawer cabinets with a pencil so that you can drill at the correct distance.